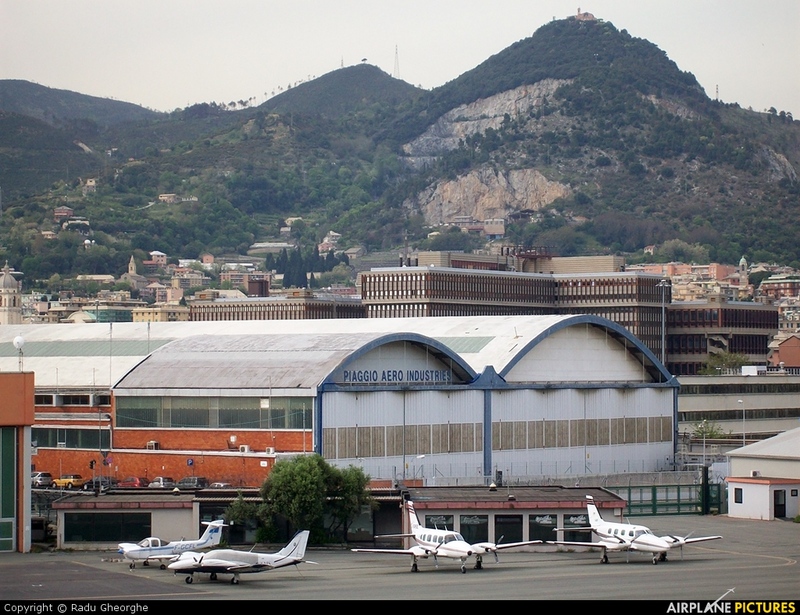 Platform near "Piaggio Aero Industries" hangar at "Cristoforo Colombo" airport. In the background you can see the ligurian specific landscape. At the top of the highest ridge on this photo it's visible the "Santuario Della Guardia".